Courtesy of the Whitmer campaign Gov. 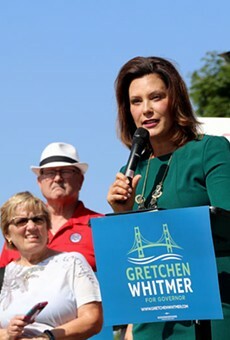 Gretchen Whitmer. This really seems to be a huge change in attitude toward marijuana from the state government. Last week's executive order by Gov. Gretchen Whitmer to create the Marijuana Regulatory Agency — and get rid of the Medical Marihuana Licensing Board — showed that her support for Prop. 1 and other issues related to marijuana legalization during the campaign wasn't just lip service. Whitmer has moved quickly and directly on marijuana regulation since taking office in January. She first pressed the MMLB to extend the time allowed for provisioning centers to obtain supplies from caregivers to ease up the shortage. Now she's shaking up the entire approach to licensing. 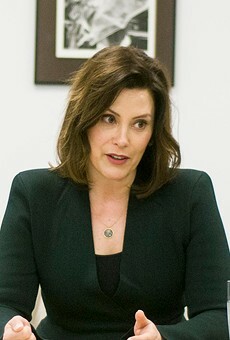 Whitmer said the move was to "eliminate inefficiencies that have made it difficult to meet the needs of Michigan's medical marijuana patients." A lot of the MMLB's inefficiencies were brought on by MMLB chair Rick Johnson and member Donald Bailey, a former state police officer, who seems to be fighting a rearguard action in the war on drugs. There was a long article profiling Bailey in Bridge magazine just a few weeks ago in which he extensively stated his case. One quote expresses his attitude pretty well: "I never met a crackhead who didn't start with marijuana. Zero. Every single one of them." A statement like that shows why that board needed to be pushed aside. Bailey's first move on the board was to call for all operating provisioning centers to immediately shut down. It's the absolute wrong attitude for someone tasked with creating access to medical marijuana for patients. In hindsight, that article may have represented a last-ditch effort by Bailey to keep his point of view in play as Whitmer's changes were pushing him out. Chad Morrow is an activist who was arrested by Bailey in 2016 when Morrow owned the Cloud 45 dispensary in Gaylord. Last week he claimed to be on "cloud nine" after hearing about Whitmer's executive order. "The only thing better would have been to be there to see Bailey's face when he got the news," says Morrow, who pleaded guilty to two counts of delivery of marijuana in 2017. So far, nobody actually knows what the new rules are going to be in the new agency, but expectations are high. The order doesn't take effect until April 30, and both legislative houses could potentially get involved in this, so it's not a done deal. Although a spokesperson for GOP Senate Majority Leader Mike Shirkey says he supports Whitmer's move. There is still a looming question of what happens in March 21 and April 25 MMLB meetings with the board still holding authority. The deadline for provisioning centers to stop getting supplies from caregivers is March 31, a month before the MRA takes over. 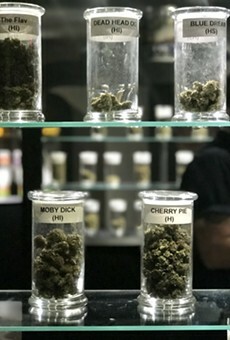 In the meantime, medical marijuana patients are again floating in limbo with regard to where to get their medications. They still don't have the best access, and no executive order can suddenly make it all right. It's hard to see how the big picture in this situation doesn't strengthen the underground market. But just to have the governor recognize the situation and take positive action is gratifying. 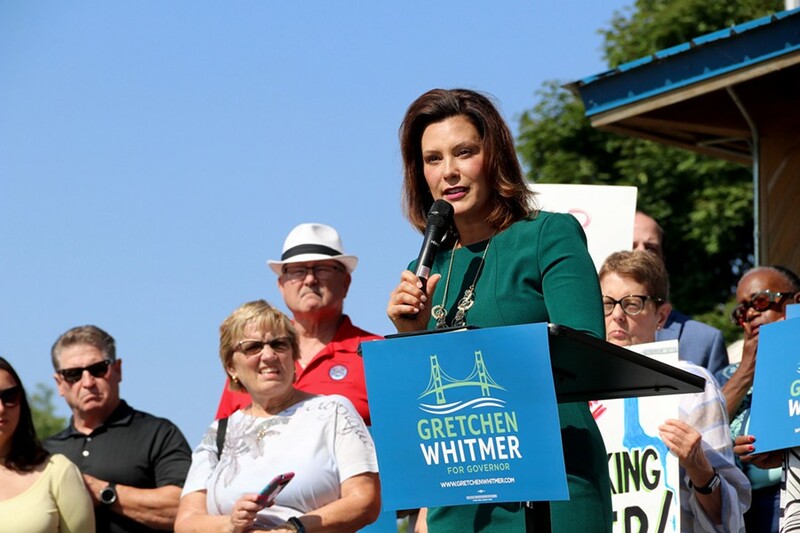 Whitmer has blown a breath of fresh air into the mix; that is almost as significant as passing the law in the first place — because it looks like the law will actually be implemented in good faith. Marijuana business applicants have borne a tremendous burden in the application process that seemed to be more about screening for potential criminals. They seem to have been terrorized by the MMLB for the past year and a half. Applicants feared to publicly say anything about the licensing process or the board. I hope the days of fear are over, but applicants and those appealing their decisions don't know what their fates will be either. It looks like the MRA will employ an ongoing license evaluation process rather than waiting for monthly meetings. Everybody's waiting to see. The effect of electing Whitmer seems timely for marijuana supporters. Her executive order most immediately impacts the medical marijuana system, but it also seems there will be an effort to really implement the adult-use law. "Choices made in November are paying off big time," says Debra Young, a board member of the 2016 MI Legalize effort that didn't make it to the ballot. Choices made at the ballot box do have consequences. Which swings us to impending politics: Last year's was the first election in Michigan — and other states such as Illinois, Wisconsin, and Minnesota — in which winning gubernatorial candidates were openly friendly toward marijuana. As we look at 2020, every declared Democratic presidential candidate supports decriminalization or legalization. The most recently declared candidate, Gov. Jay Inslee, is from Washington state, where recreational marijuana is legal. Candidate and New Jersey Sen. Cory Booker has introduced the Marijuana Justice Act, which every candidate in the Senate supports. The act would change the DEA schedule 1 classification for marijuana and expunge thousands of federal possession convictions. Descheduling marijuana is the Holy Grail of marijuana supporters. That single act would remove the biggest impediment to the marijuana industry. Maybe we'll see something on the national scene akin to what we saw in Michigan 2018 as regards marijuana. It won't be the main issue, but it looks like it will be a very interesting sidelight. The Vanderbilt Village Council recently voted 4-3 to draft an ordinance to opt out of allowing adult-use marijuana businesses in the small community north of Higgins Lake. This was an affront to the 59 percent of Vanderbilt's 195 voters who supported Prop. 1 in the last election. They will be heard from again. A group of Vanderbilt residents has put together a petition to force a voter referendum on the subject. They needed five percent of the 195 voters in the last election and have already succeeded in collecting some 18 signatures, well over the 10 necessary to put the issue on the Aug. 6 ballot. The crowd hustling to make CBD the face of medical marijuana has hit a bit of a slowdown. "The Association between Cannabis Product Characteristics and Symptom Relief," a study from the University of New Mexico, found that THC was generally associated with more intense symptom relief for pain, although there were strong positive and negative side effects. "These findings justify the immediate de-scheduling of all types of cannabis, in addition to hemp, so that cannabis with THC can be more widely accessible for pharmaceutical use by the general public," says researcher Jacob Miguel Vigil. This is counter to the public stampede toward the non-psychoactive CBD in recent years, particularly because it has been shown to be very effective in controlling seizures in some childhood epilepsy patients and for multiple sclerosis patients. But let's not toss out the THC in the rush toward CBD. There are some 100 cannabinoids in marijuana, and we may find that many of them are very useful.